Jade Boudreaux is a Chicago-based architectural designer and futurist from the Acadiana region of South Louisiana. She completed her Bachelors of Science in Architecture at the University of Louisiana at Lafayette in 2014 before graduating with a Master of Architecture from SAIC in 2016. In 2017, she was the first Architect in Residence at Chatuea de Chambord for the French Heritage Society. She aspires to pursue a competitive career in fencing and hopes to travel to space someday. Mostly architecture, but sometimes drawings tangentially related to architecture. 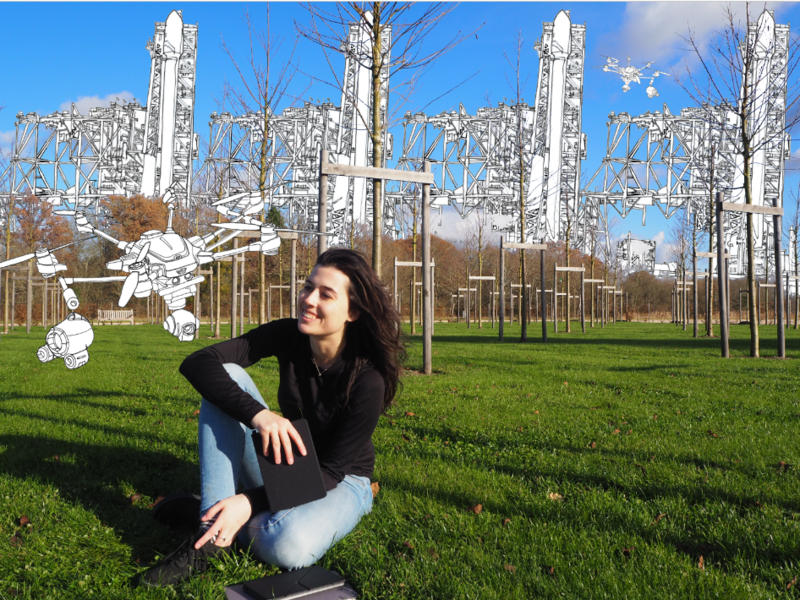 Combining a history in architectural public art installation and fabrication with an interest with computer science and data center design, her studio practice has come to involve imagining futures through speculative drawing and writing.